advantage with innovative digital initiatives. New players and shifting demographics are changing the face of the commercial machinery market. Emerging manufacturers in lower-cost countries are rapidly achieving parity with the historic market leaders in both hardware design and quality. At the same time, the traditional customer base is steadily being replaced by younger buyers who place more stock in technology-driven solutions than established brand names. Now, more than ever, it's imperative that legacy companies invest in digital innovation if they want to preserve their brand equity. Check out the video preview of the white paper and download below today. 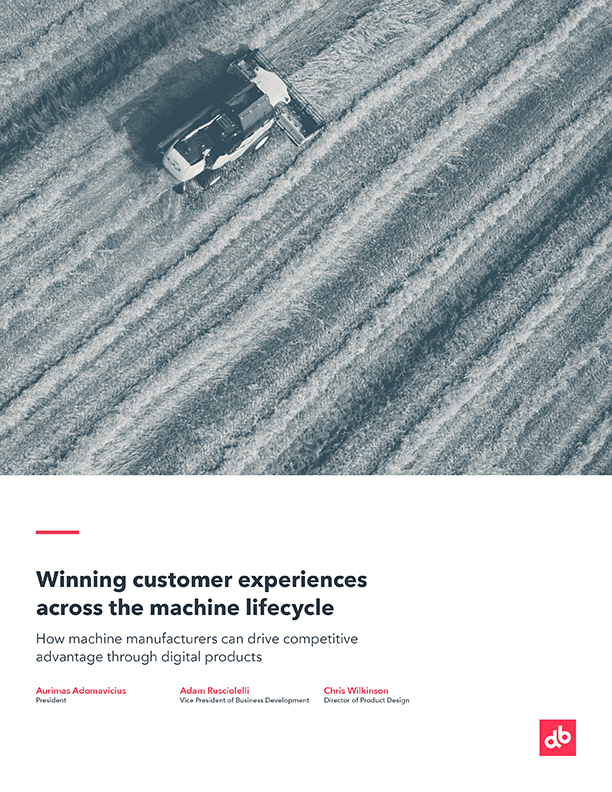 Download the full white paper below or email us at news@devbridge.com to request a free printed copy.